This lot of coffee from Cenfrocafe’s cooperative members is lush and sweet. 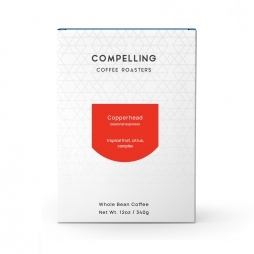 Expect acidity like jammy peach, a soft floral hint of hibiscus, and a deep body like honey and caramel. We recommend it as a batch brew, or espresso with milk. Cenfrocafe produces both specialty-grade coffee, and a massive amount of conventional-quality cherry. This lot is composed of the best of the former: heirloom varieties grown in the high mountains of the Andes, immaculately processed using modern techniques. The result is a lush, bodied cup full of sweet flavors of cooked peach, caramel, and hibiscus.